ME Traders Expo 2016 – Registration is now open! Middle East Traders Expo – Who should attend? ProMedia International organize the Middle East Traders Expo. The event will take place on the 11 & 12 April 2016 at the Radisson Blu Hotel. The exhibition will host around 40 international well known trading companies. Additionally, the opening of the exhibition will be hosting ministers and decision makers in the field of traders and will attract significant number of visitors from all over the world. The ME Traders Expo is the educational platform for traders and investors who want to sharpen their trading knowledge techniques and strategies. The 5th ME Traders Expo is open to the public, with a particular interest in investing, trading or launching a new business in finance and investments Sectors. The event brings together under one roof around 40 international exhibitors & sponsors who will showcase their latest products and services to meet around 300 visitors who will explore unrivaled opportunities. 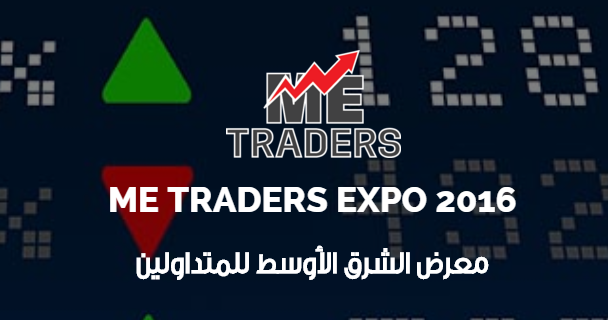 ME Traders Expo is a focused market exhibition that addresses how this market is enhancing profitability and providing integrated solutions in today`s financial economy.